It might seem like an out-of-the-box idea for businesses to have an employee choir. But increasingly businesses are implementing music in the workplace with innovative companies like Google, LinkedIn, Facebook, and Boeing leading the charge. Why are companies starting these employee choirs? First, there are research studies that have shown how singing in a choir can positively impact your psychological and physical health. It can elicit a strong feeling of togetherness and improved social wellbeing, reduce stress and decrease anxiety, release endorphins, regulate heart rate, and may even even increase life expectancy! In addition, Americans for the Arts and The pARTnership Movement have done a wonderful job researching the impact of arts in the workplace and showing how businesses can improve by partnering with arts programs. By pairing together these benefits, companies which have implemented employee choirs have seen stronger employee recruitment and retention, enhanced employee engagement, and increased teamwork and leadership skills. The number one benefit of having a company choir: it enhances employee engagement. 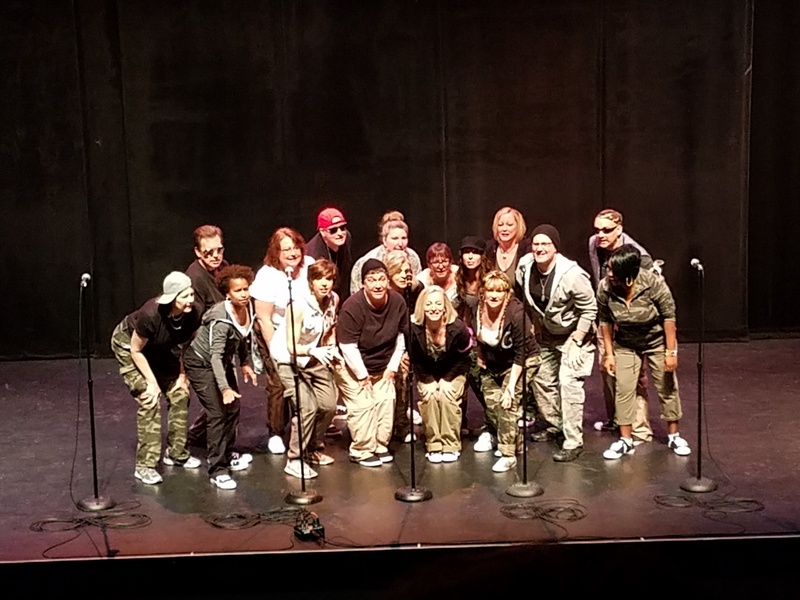 Ryan Strand is a staff member of ArtsWave and Producer for Cincinnati's annual CincySings event, a choir competition between various local company choirs. He told me, "Having a choir is a great way to engage employees at work. Your employees have a variety of skills and talents, some of which are not currently being used at work. A choir provides them with an outlet to demonstrate these skills." 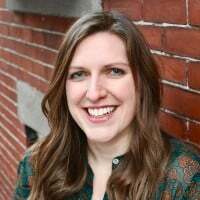 Jordan Shue, Private Sector Initiatives Program Manager at Americans for the Arts, added, "[An employee choir] is a way to show employees that you value them and want them to have fun at work. It also challenges them to show their creative sides and work as a team on a project vastly different from what they do in the office day-to-day. That can have a huge impact on the way they work together in the future and how connected they feel to their company." When companies successfully engage their employees, it is likely to produce other benefits such as employee recruitment and retention. On the topic of retention Strand from ArtsWave said, "Replacing employees is one of the most expensive things a company can do. Instead of providing materialistic benefits to employees, companies should strive to connect with their employees on a deeper level and start to value what their employees value. There is no doubt about it that a company choir helps attract good employees and retain good employees which gives the company a better chance to succeed." Shue confirmed and added, "For companies that struggle with retaining employees, the arts can be used as a way to engage personally with your employees, showing that they want to nurture human and creative connections that may not have anything to do with their work directly, but [will] impact their happiness and wellbeing." There seems to be a correlation between "good" companies and "good" employee retention too. Todd Green, CEO of Choir Nation, a company that helps implement employee choirs for businesses in the Niagara and Toronto areas, shares a little bit about the companies that he works with. He said, "when we look for organizations to promote Choir Nation to, we actually look for those well-established organizations like the 'Best Places to Work' which are more likely to start their own choirs because they provide fun opportunities like this for their employees." I then asked Google, a company which consistently ranks in the annual "Best Places to Work" list and has their own company choir "Googapella," to shed some light on the claim that employee choirs can boost employee retention. Founder of Googapella, Aaron Roan confirmed, "decisions to remain at the company were strongly influenced by participation in [Googapella]." Other "Best Places to Work" companies with choirs include LinkedIn and Facebook! What happens when you engage employees in a group capacity? Bonding, teamwork, and better work relationships. Green at Choir Nation said, "With an employee choir, there's a strong sense of camaraderie and people really cheer each other on. I remember one time there was a singer who was really struggling with a musical part and after a lot of practice, he finally nailed it. Everyone got really excited for him, high-fiving and hugging him, and you could tell there was a great sense of pride there for both him and the group as a whole." I asked four different company choir leaders what they thought was the main benefit of an employee choir and all of which had something to say about networking. Roan from Googapella said, "The work relationships that overlap with relationships within the [choir] are much more dynamic with the bond and positive culture already set." He also noted that the Googapella singers are more connected to the various company departments and teams than non-choir staff who primarily network within their own teams. 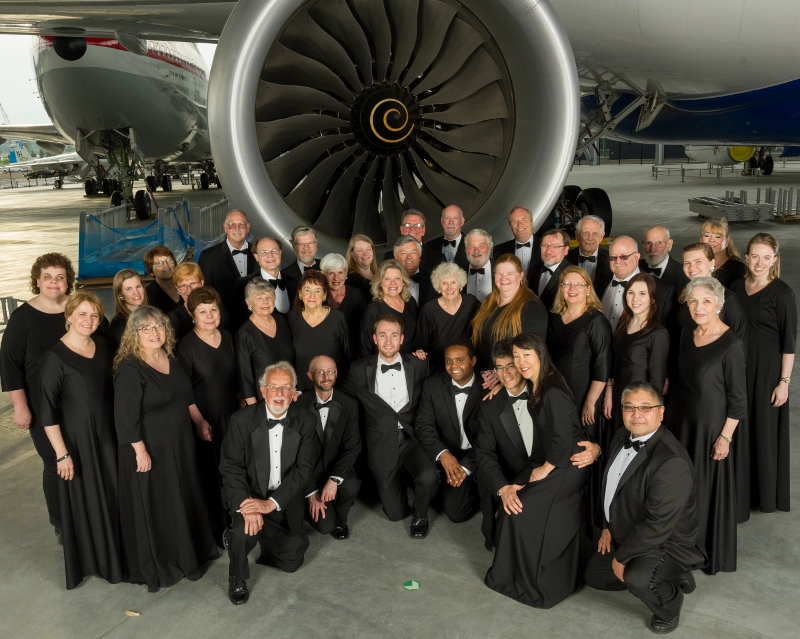 The President of the Boeing Employees Choir, Benjamin Kendall, said, “Boeing is so large that I typically don't see most of the choir members except at rehearsals. The choir is a good networking opportunity to find out what job roles they are in and get to know other company departments." Sometimes it can be beneficial to break down the company hierarchy and put your employees on an even playing field. Or in this case, an even choir stage. When singing with any co-worker, you'll get to know and understand each other better and find more effective ways of communicating with one another. Green from Choir Nation said, "One thing that has been really fun is seeing people of all different levels at the company participate in the choir. A CFO could be rehearsing in the same room as an Administrative Assistant and can get to know each other on that level outside of the workplace. The musical leaders might not be the same as the organizational leaders of the company, so it's cool to see the switch there. It helps break down those hierarchical barriers." Can you imagine getting to direct your boss to do something?! This is what dreams are made of. As previously stated, Roan from Googapella thinks one benefit from having a company choir is "the skills gained from learning leadership, teamwork, and coordination." And Shue from Americans for the Arts really hit home when she said a company choir can, "help jumpstart the employees' creative and innovative thinking that can help drive business. Research shows that creativity is among the top applied skills sought by employers, but companies need to develop the channels and environments through which employees can experiment creatively to jumpstart innovative thinking. The arts are the perfect answer." Perhaps it is worth noting that it seems that some of our nation's most innovative companies have choirs: Google, Facebook, LinkedIn, and Boeing. Coincidence? You be the judge. As an adult, your life might feel overtaken by work, children, family, and/or social obligations... and it can be hard to remember to take care of your adventurous side. A company choir can give people a chance to try something new! Kendall from Boeing had sung previously in high school and college a cappella groups. But after leaving college and moving to Seattle, this piece was missing from his life. He said, "Having a choir right at work made the search for a choir easy. With the long list of Seattle choirs, trying to find a community choir would have been exhausting." Could the exhausting search for a new hobby be enough to keep people from trying something new or returning to an old hobby? I can't help but wonder - how many more people would find joy from singing in a choir if it were this easy to find? Green at Choir Nation shared another story, "One woman in an employee choir invited her friend to drop in on rehearsal; she told her that she should just TRY singing! So the friend showed up to rehearsal and loved it so much that she ended up starting a choir at her own company!" WARNING: Singing in a choir can be addictive; side effects include happiness, fulfillment, and belonging. Skip the gym and join a choir instead! I've already provided scientific studies which show the many physiological and physical benefits of singing in a choir. And every business owner wants healthy, non-stressed employees to boost productivity. Eskew from Insuring Harmony confirmed this thought, "It is a stress reliever during the work week to take time out during the day, at lunch, to sing with friends." And finally, I think it's important to note that the arts need support from local communities, which includes businesses! By starting a choir at your company, it shows that you value and support the arts. "It really brings an appreciation for the arts - seeing how hard it is to put all the music and performances together. Especially for the singers who are new to singing in a choir," Green at Choir Nation said. "Music is an integral part in everyone's daily life, whether they know it or not. People will be listening and humming along to music at their desks or on their commute, and this sort of takes it to the next level," he continues. It doesn't matter what industry you are in or if your company's singing group is a quartet or a choir of one hundred. The benefits are the same for everyone. 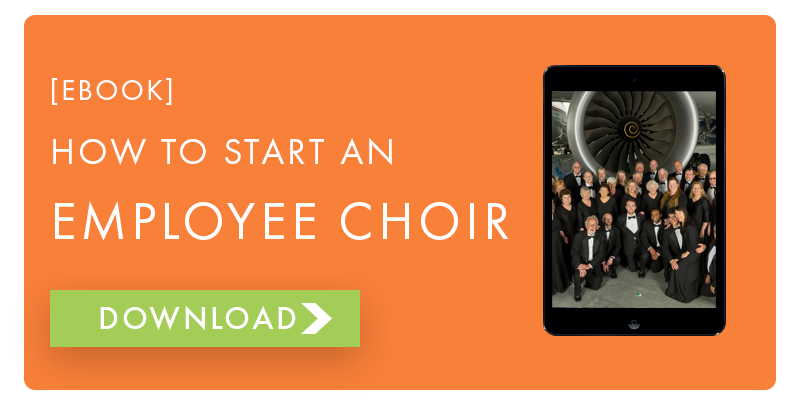 This makes a company choir perfect for any business looking to engage their employees in a meaningful way.